I remember them.They were good. I remember this, or one like it, pulling out a filling! 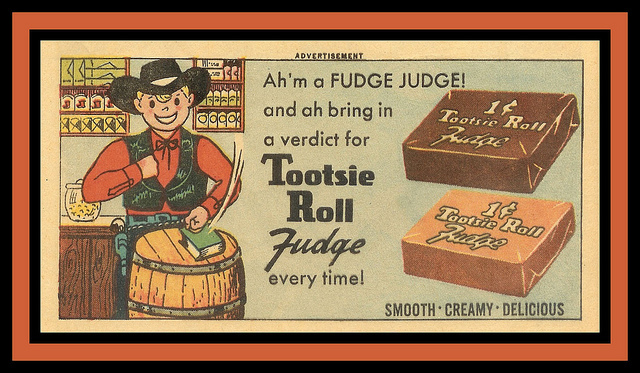 I don't remember "Tootsie Roll Fudge" but I wonder if they were similar to "Kraft Fudgies". promoted on tv on "Howdy Doody" and "Captain Kangaroo"
back in the late 1950's.